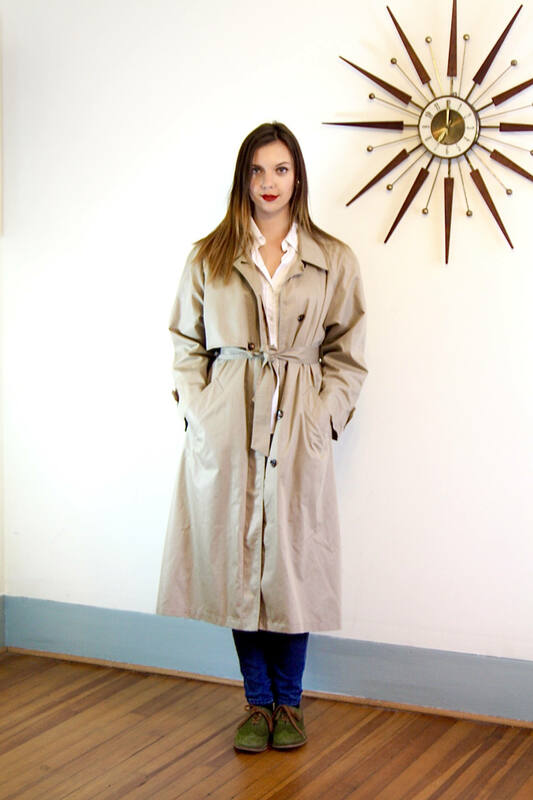 This is such a beautiful LONDON FOG trench coat! 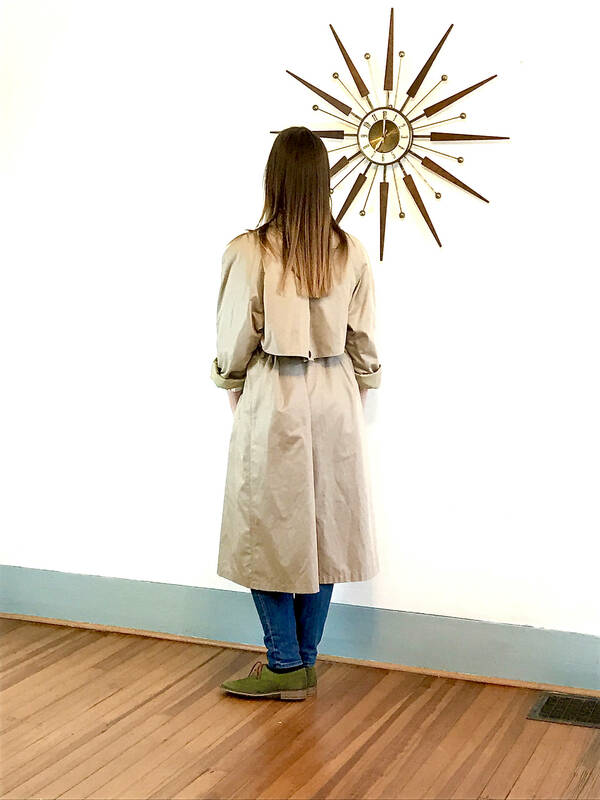 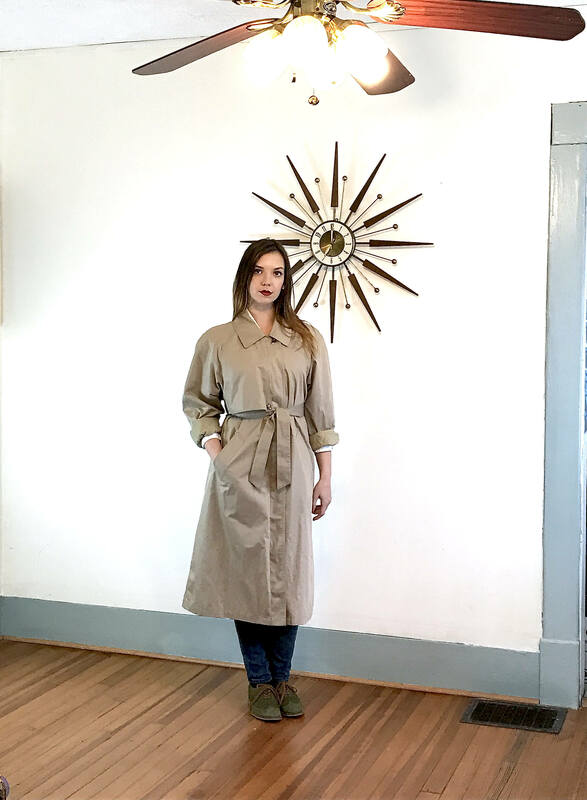 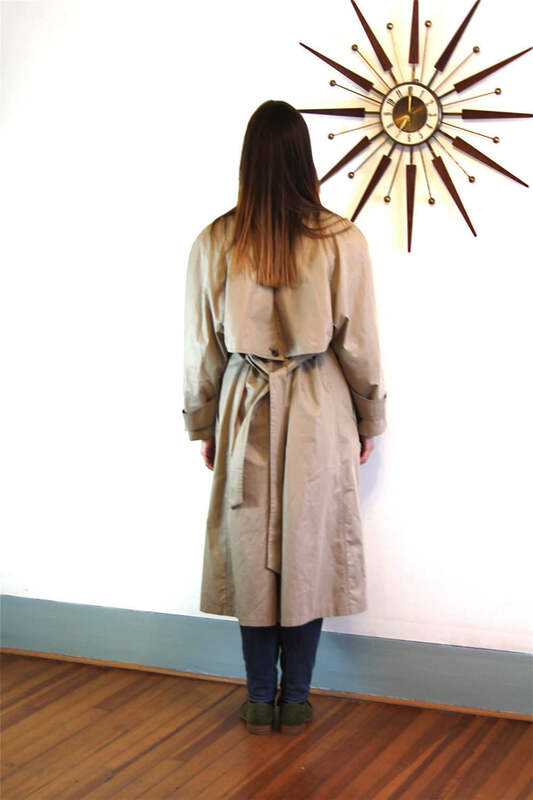 This vintage trench is in excellent condition and such a beautiful cut! 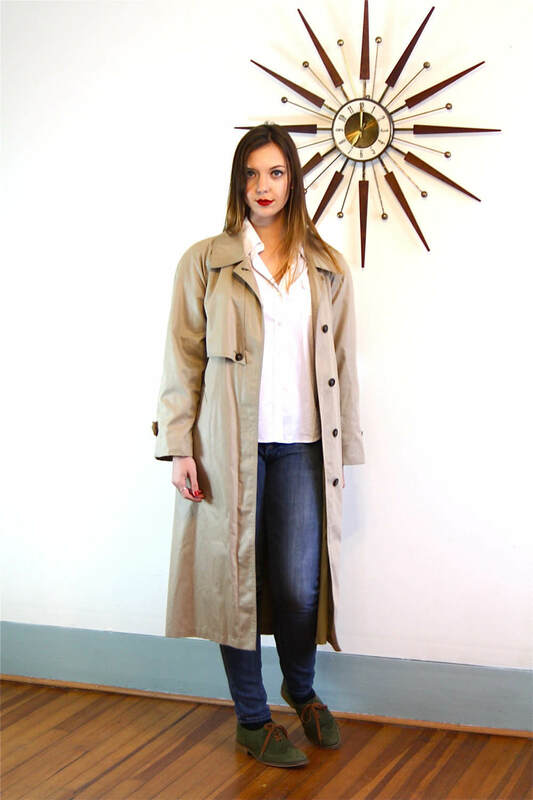 This classic trench coat is double breasted with buttons down the front and buckles on the sleeves and the belt. 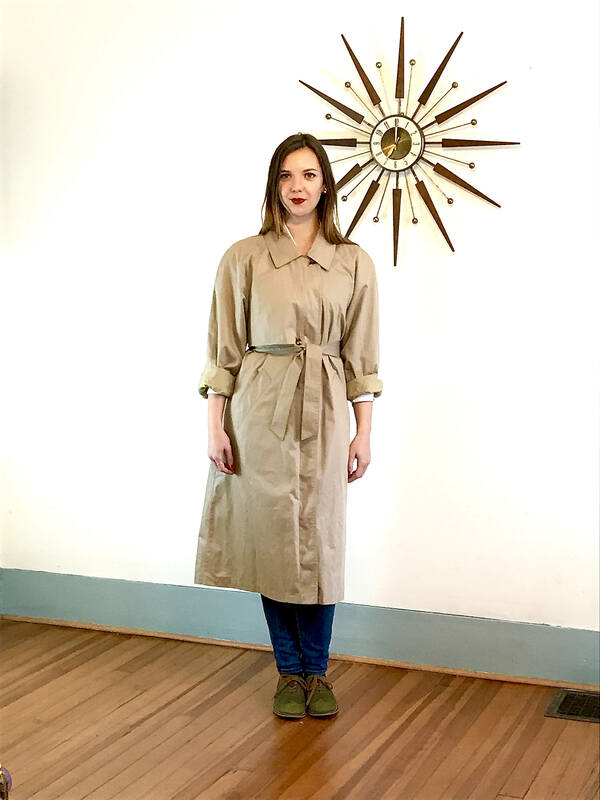 There are two two pockets, and an air flap buttoned in the back. 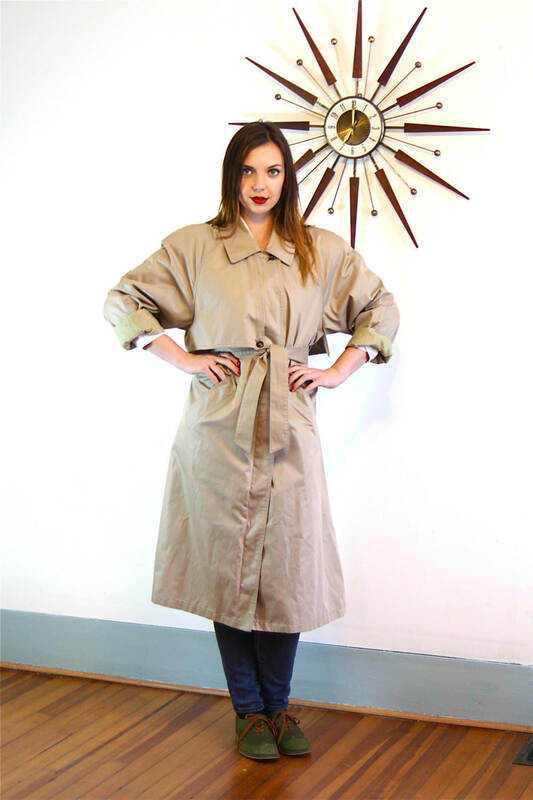 This 70s London Fog trench has shoulder pads too! 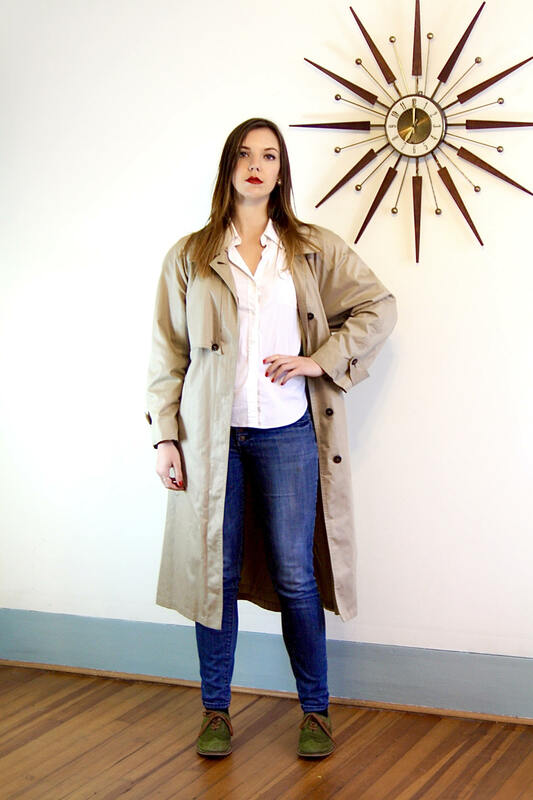 Model Measurements: bust:32" waist:28" hips:42" height 5'9"
CONDITION: Very Good! 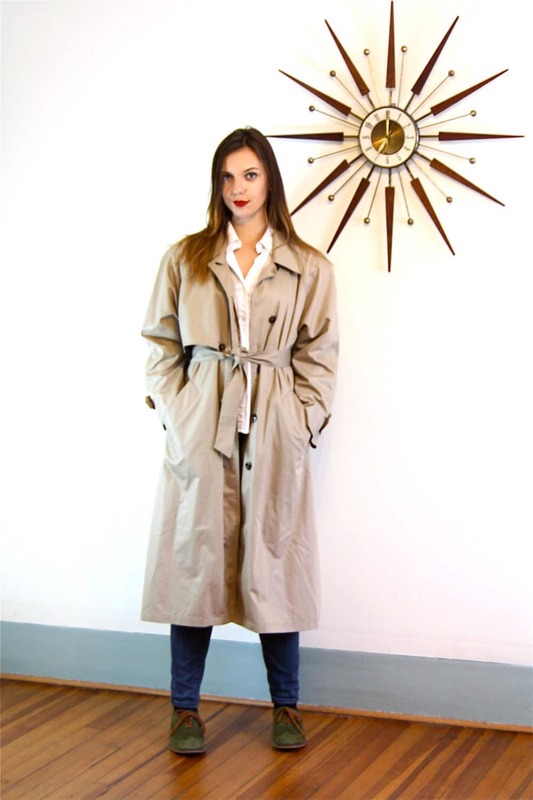 There are some stains. 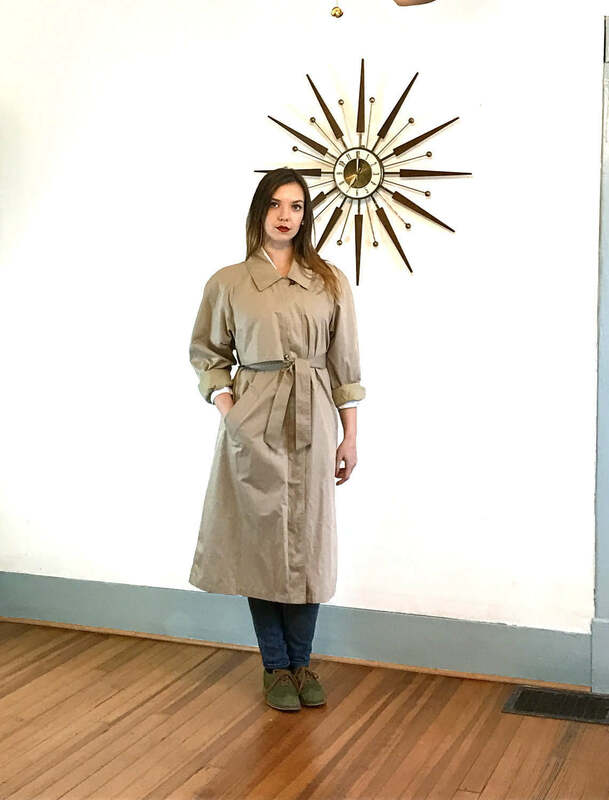 There is a zipper, but no extra lining.